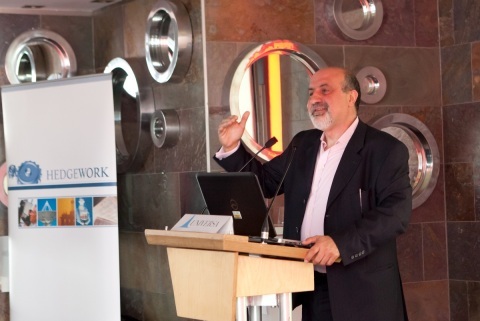 NNT spoke at Hedgework in Frankfurt on May 8, 2012. More pictures at the Hedgework site. via Bestseller-Autor Nassim Taleb: Aus kleinen Fehlern lernen – Fonds & Mehr – FAZ. This was written by John. Posted on Saturday, May 12, 2012, at 1:18 pm. Filed under Contributors, Event. Tagged Hedgework. Bookmark the permalink. Follow comments here with the RSS feed. Trackbacks are closed, but you can post a comment. Is there and english translation to this? My German is practically non extant..
‹ Antifragility now available for pre-order in UK.